AUSTRALIA has one of the best health systems in the world — but that does not mean it cannot be improved. Educating medical students has changed significantly over the years, with programs now available through Australian medical schools ranging from school-leaver to graduate entry, with durations from 5 years up to 7 years for a basic degree plus graduate program. The system must be one of the most flexible in the world, and flexibility is surely as important in medical education as it is in other forms of learning. Yet, it seems that after medical school some of that flexibility ceases. Post-registration and specialist training is still very much time based and is perhaps, more than ever, due for a critical review. SimHealth 2011 (the annual scientific meeting of the Australian Society for Simulation in Healthcare) was held in Sydney recently and emphasised some of these issues. Dr Amitai Ziv, director of the Israel Centre for Medical Simulation, was an inspiring speaker and showed how simulation can be used to train doctors in quality and safety issues, about team care and for a variety of procedures. Training to a set of competencies using simulation for one arm of assessment is not only feasible, but has been used in other industries, such as aviation, for years. So why don’t we at least trial some of these approaches in a formal sense? A significant number of students in graduate entry programs, for example, know what branch of medicine they want to pursue by the end of year 2. As well, all programs have some core and some optional components, particularly in the clinical years. So here is a challenge — a medical school could work with a specialist college to define a curriculum that might fulfil some of the criteria for the “first part” examination. The college could then set an exam for students to sit at the same time as their MBBS/MD, similar to the ECFMG (Educational Commission for Foreign Medical Graduates) exam when we did our finals. If the student passed they would be given recognition of prior learning (RPL) to allow them to enter year 2 of specialist training. Students who have completed other activities, such as surgical assistance in the evenings or at weekends or pathology specimen preparation, could also be given RPL in their chosen fields. In both these examples students could be paid for their work, somewhat like the New Zealand students are paid in their final years as junior assistant interns. If this program was used in the immediate post-registration years you might reduce the time for specialist training by a further year or so. Add the benefits of using simulation across the training program and my hypothesis would be that specialist training could be reduced by at least 3 years. Interestingly, both the Royal Australasian College of Surgeons and Royal College of Pathologists of Australia held discussions on this some 5 years ago but they did not get any support. There are some arguments against this approach, such as reducing the generalist base (even though our whole health system is focused on specialism) which might lead to less career flexibility. But it is a hypothesis worth discussing and testing —it might even benefit patients — as it could offer a return on education investment and more task-ready practitioners. Simulated learning environments might provide a further opportunity for medical schools to engage with the colleges to test some of these ideas and see if we could come up with something that improves on what we have been doing for the last few centuries! The key to this will be the willingness of the medical profession to look at new learning technologies and to develop a more flexible approach to training. What we have is pretty good — but it is very lengthy. This could be an opportunity to develop programs which are more focussed on contemporary practice, and perhaps even focused on future practice. 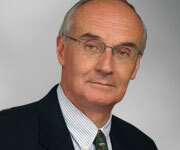 Professor Peter Brooks, of the University of Melbourne, is director of the Australian Health Workforce Institute. What a good idea. I knew I wanted to be a psychiatrist before I even started at medical school. My 5 years at medical school included about 3 months of psychiatry and much of the rest was a rather tedious slog, although of course there were some general benefits. Students shouldn’t be pressed into premature career directions but those already with clear ideas could benefit by allowing them to pursue those directions somewhat earlier. An idea whose time has come, surely. The primary for emergency medicine contains no really new material from undergrad, just updated, and examined at a higher level so why not include it as an option to do in (say) UGY 3/4, then go to post grad immediately after internship? It takes too long to train a specialist (6 years) in Oz. They do it in 3/4 in USA, and the product is the same. Average graduation age now is 29. Better still, have a common primary between surgery, Emerg Med, O&G , anaesthesia (its basic science) giving graduates more flexibility? I welcome discussions like these and it is so good to see discussions about the way we go through medicine happening. My experience of graduate medicine and now having gained a position on a specialist training program is that the system is extremely prohibitive. It is very difficult to be at the stage in your life when you need to have children soon or else it is too late, and be faced with the need to dedicate serious time and resources to specialist exams and training, and geographical relocation. Part of my enticement into medicine was that my life experience outside of medicine would be of significant benefit to my patients. My experience suggests otherwise, in all areas of medicine except perhaps general practice these skills are not valued or helpful in getting the job done, which is what you have to get through while you’re training. The system has it’s cake and is eating it too. Resulting from the splintering of medicine and/or surgery into so many subspecialties, it seems the subspecialists were overtrained for the job they do. Can one not be trained to do angiography with angioplasty in a few months, or as the case maybe learn to replace a hip in a few months? Such an idea does not obviate the need for broad comprehensively trained doctors too, whose role would be to be the gatekeepers to these technically trained subspecialists. As an aside the pay scale would be reversed. Simulation is definitely the way of the future in regards to all aspects of training from medical school years into specialty training and I have no doubt that it will feature heavily in new training programmes. However, I believe the great reputation of Australian doctors is probably based upon the fact that we have had foundation years as generalists so to speak. Our patients are not afflicted by single disease processes nor do they only require care for one part of their body. Fast tracking specialist training may leave the Australian medical workforce with many young specialists but they may not necessarily be well rounded good doctors. Simulation definitely has benefits as a way of teaching procedures, but we often forget that many of the skills in medicine are cognitive, not just procedural. Broader experience certainly makes for a better clinician. I lament the sub-specialist who scorns knowledge in other areas – this leads to “dumbing-down”, risk aversion and excessive referral. All of this adds to the cost of medical care, but not the quality or outcomes.